As reported earlier this week, President Obama and his administration have acted outside the law to steal the pensions of 20,000 retired salaried Delphi employees while using taxpayer dollars to bail out and save the union employees' salaries. Any way you slice this, it is a clear violation of the 14th Amendment's guarantee of equal protection under the law. 20,000 employees were discriminated against simply because they were not union members. Do you think that is right, or fair? 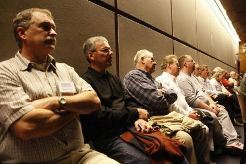 After years of hearings that I will explore further in the coming weeks, Delphi salaried retirees are asking for your help. In a press release today, the retirees announced the launch of a national online petition drive to build support for the case of restoring the pensions of these 20,000 retirees who lost up to 70% of their pensions and all of their life insurance in the Delphi/GM bankruptcies. BankruptcyLawReview.com is a law site I found that provides information and insights about corporate bankruptcies and other bankruptcy related issues like these. My exploration will include learning more about this dark corner of the practice of law that we generally never hear much about. 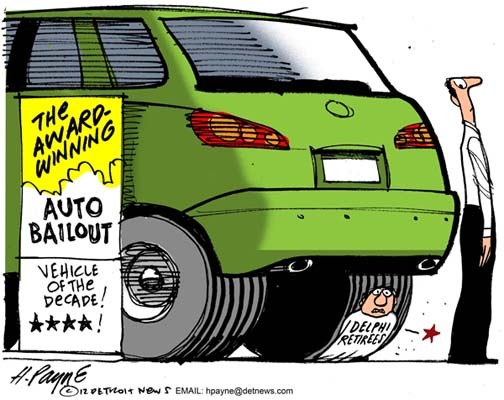 The Delphi Salaried Retirees are the only large group of former employees that were not protected in the Treasury Department’s orchestrated reorganization and recovery of the American auto industry. The Obama Administration used billions in governmental financing to “top up” the earned pensions of over 500,000 major union retirees to pre-bankruptcy levels. 22,000 Delphi salaried retirees, however, were considered to be of no “commercial value” by the Obama Administration and the industry, and they were not included in the top up plan. This petition is being circulated to demonstrate that the American public does not support the Obama Administration’s unfair treatment of the Delphi Salaried Retirees, nor it’s inaction to resolve this issue. We believe that President Obama must understand that his Administration erred by picking winners and losers using unjust grounds in the government’s auto recovery plan. He must act to restore our full earned pension benefits that were lost to uphold our Constitution’s premise that all Americans must be treated equally. We are asking the President to stand by his own words that “if you work hard and play by the rules, then you’ve earned your pension.” We do not support Barack Obama’s re-election bid, unless he acts to resolve this issue before this year’s Presidential election. In this Presidential election year, voters who believe that ALL Americans must be treated equally by our government’s actions are asked to electronically sign our petition at www.DelphiPetition.com. This petition will be submitted to the US Treasury Department, the Auto Task Force, members of Congress, the news media, and the Obama Administration. Results of this petition will be circulated and used at the appropriate time, if necessary, to demand a fair and equitable resolution of this issue. NOTE: This petition is not sponsored by the Delphi Salaried Retiree Association (DSRA). Rather, it is being initiated independently by retiree members of the DSRA and others as a compliment to the efforts of the DSRA, whose full membership will be informed. Support for this petition is further enhanced through our social media efforts at www.facebook.com/DelphiRetirees and http://twitter.com/DelphiRetirees. Distribution of the petition, our social media sites and publications that support our cause are welcomed by all media sources.